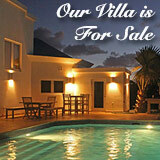 Update 2013: Temenos Anguilla Golf course is now owned by CuisinArt Anguilla hotel, located right next door. 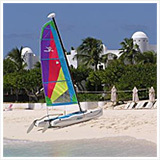 CuisinArt is now well positioned to offer the ultimate Anguilla golf experience, with the course and the hotel now merged, and interacting as one resort. 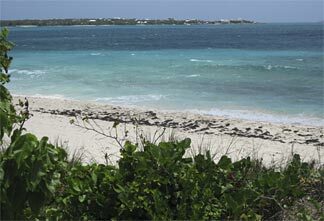 More on CuisinArt Golf course. 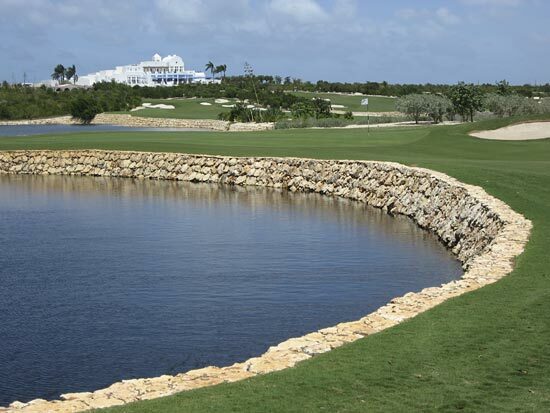 Update 2016: We tour the prestigious CuisinArt Golf Club with Head Professional Scott DeLong. More on CuisinArt Golf Club here. Not too long ago I was thinking, Greg Norman just may have designed the #1, five-star Caribbean golf course. My Dad and I had caught a few risky glimpses of the unopened course. It blew our mind, to say the least. But the days of hopping over fences to sneak a peak at the unfinished grounds are over. Yep! 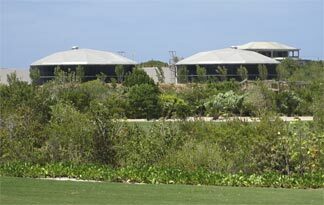 Temenos Golf Club (known today as CuisinArt Golf Resort & Spa) is open and ready to take down your tee time. I'm not much of a golfer, but when I heard that this course was open, I had to wander on down just to see if my guess was correct... would this be the best Caribbean golf course? 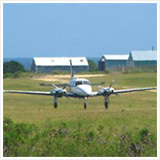 So, we curiously headed over to the Anguilla golf course, with our family and friends in tow. On the drive past the security booth, up to the club house, the golf course was already oozing luxury. Lush, green gardens. Flowing streams. And of course, the fresh, white club house. Without a tee time, we were thinking of just poking our noses around, taking pictures here and there. 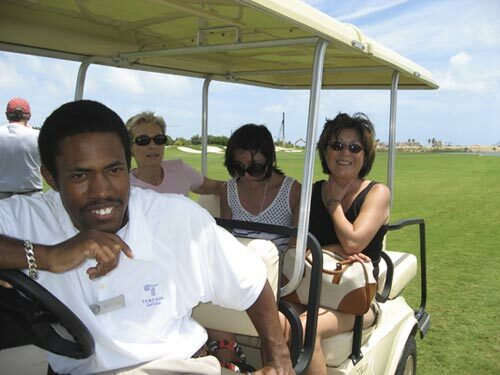 But this Anguilla golf course also offers first class customer (and potential customer!) service. 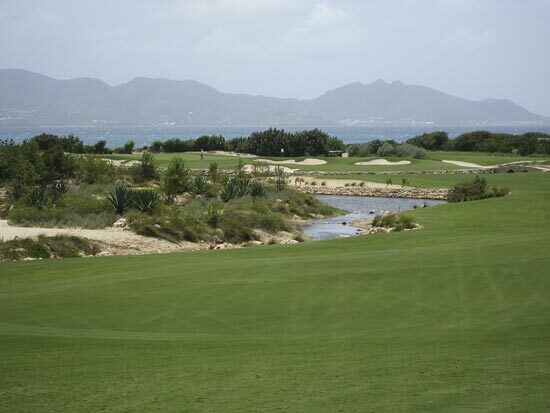 They offered to take us on a tour of their beautiful Anguilla golf course. We accepted in a heart beat! Our kind host, Crispin Jones, took us on an indepth tour. Perfectly polished fairways ... calm streams running through the course (on a desert island, no less!) 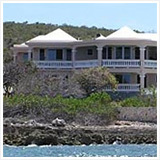 lined with flawlessly sculpted stones ... all staring out to sensational St. Martin. As Crispin drove us along, he pointed out the St. Regis residences (today the St. Regis residences have also been taken over by CuisinArt) that are still under construction that border the course. Wouldn't you love to play a round of Anguilla golf and later retreat to your luxurious ocean front villa, just seconds away? 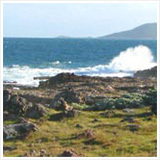 Without a doubt, this course and its private residences are adding a whole different layer of class to the island. The Sonesta Beach Resort used to sit on these shores, but it was bought and torn down to make way for these super luxurious establishments. The tour continued and we couldn't help but continually comment on the course's beautiful streams. They were truly unique, especially on a desert island. 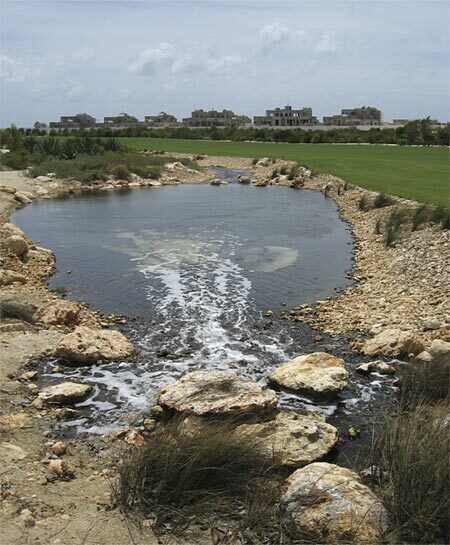 Crispin was quick to mention that this golf course recycles their water, using a process referred to as "reverse osmosis" to filter the water, powered by CuisinArt Golf Resort & Spa's solar energy plant. This filtering system is performed in the structures in the photo above. As we continued to drive along, Crispin suddenly stopped. We all stepped out, following him to the hedges that line the course. One moment you're in a green, golfing frenzy. 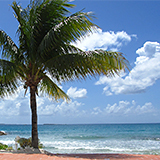 The next, you've stepped foot onto soft sand and are just inches away from crystal clear seas. This golf course certainly has it all. 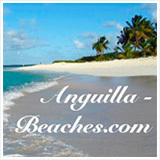 It is Anguilla's first official golf course (second if you count Pitch and Putt!) and it will certainly be difficult to top. Eighteen holes of pristine landscaping, set on the ideal West end, walking hand in hand with the world famous St. Regis. 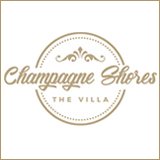 Not to mention the Blanchards, who own the successful five-star restaurant on Meads Bay, opened up another upscale restaurant right in the club house, Zurra (today the clubhouse restaurant is known as Italia). How can you beat that? Better yet, who can beat that? Unwilling to ask Crispin those questions, I only had to do one thing before we left... Practice my swing of course! Like I said, I'm not much of a golfer, but this course certainly made me want to start. 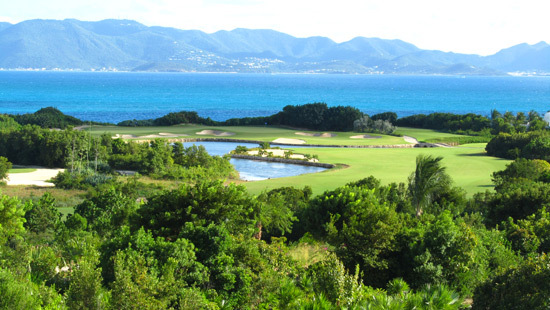 Maybe next year I can challenge my Dad to a game of Anguilla golf on this exquisite course. That is, of course, if it's not booked around the clock! 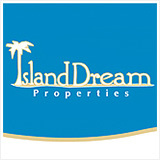 The former Temenos development is officially out of receivership, and has been acquired and brought back to its former glory by CuisinArt Resort & Spa, now known as CuisinArt Golf Resort & Spa. 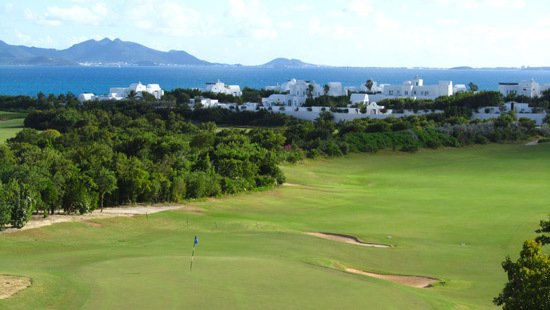 The Anguilla golf course is back in full swing (excuse the pun!). In fact, over the holiday season they had over 100 golfers on some of their busiest days. 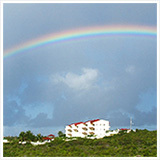 In addition to capturing travelers to Anguilla, CuisinArt Golf Resort & Spa is committed to growing the game locally. 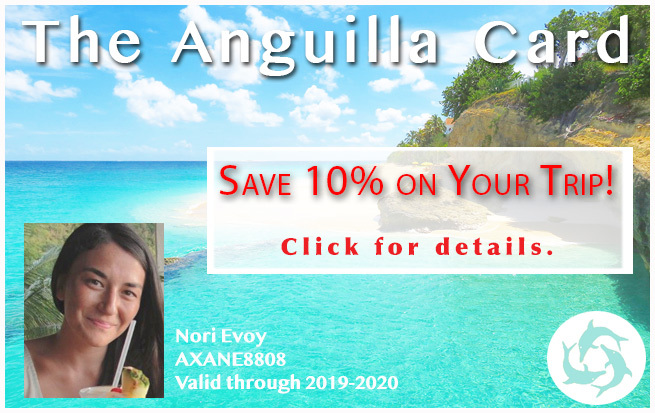 The course offers a resident discount for lessons and holds many events with the Anguilla Golf Association. The course's club house has been overhauled, featuring Italia restaurant, which serves the most authentic Italian food on the island. The pro shop stocks CuisinArt golf wear, and the PGA course now features head golf pro, Scott DeLong. Scott is a Class "A" PGA Professional. He offers lessons and clinics for players of all experience levels, including women and juniors. When we heard about the change of ownership, we wanted to drop in, anxious to see the beautiful course in top form again. We had the chance to meet Scott, who showed us around the refurbished golf course. It is in pristine condition! Here are a few panoramas taken from the club house's second floor. The rest of the course is in tip-top shape. We also had the chance to tour it with Scott. 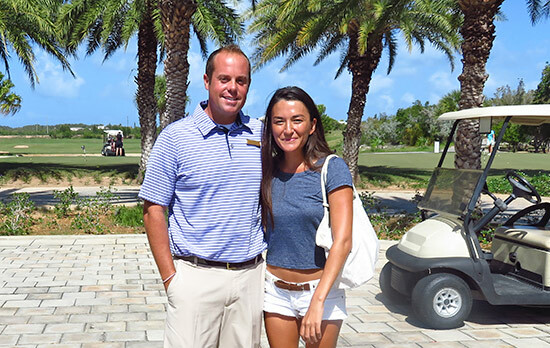 Click here for a tour of CuisinArt Golf Club with Scott.